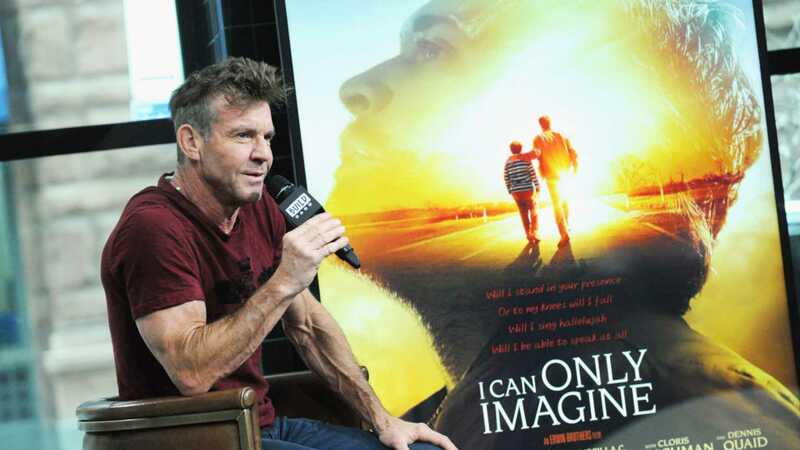 The movie “I Can Only Imagine” was released this past weekend. It tells the backstory of Bart Millard, the man who wrote the hit Christian song of the same name. Much of the story revolves around Millard’s relationship with his abusive father, and the reconciliation between the two prompted by his father’s conversion. It’s safe to say that the film is a smash hit. It made $17 million in its opening weekend, playing on only 1,600 screens, and coming in third among movies with 10 times the budget and playing in twice the number of theaters. I haven’t yet seen it, but I’ve heard glowing reviews from several people who don’t usually love “faith-based movies.” Critics in the mainstream media, on the other hand, have been decidedly lukewarm. Some have praised the film, but others have barely been able to hold back their sneers. Compare that reaction to the near unanimous adulation heaped on “Love, Simon,” yet another gay-coming-of-age-tale released just in time to fill Hollywood’s monthly quota for gay-coming-of-age-tales. It’s also interesting to note that “I Can Only Imagine” beat “A Wrinkle In Time,” despite the latter’s star power and massive budget. What makes this interesting is that the film version of “A Wrinkle In Time” tossed aside all of the Christian themes from the book and replaced them with New Age, politically-correct nonsense. It then proceeded to bomb at the box office, while an unapologetically Christian movie made more money on half the screens and 1/15th of the budget. People are always surprised when Christian films find mainstream success, but they shouldn’t be. This is how it usually goes. “The Passion Of The Christ” is one of the biggest hits of all time. “Hacksaw Ridge,” a war movie with heavy Christian undertones, made $175 million over the summer. “The Bible” miniseries on the History Channel a few years ago attracted an astounding 13 million viewers. The list goes on. Christian films and shows are money-makers. Even the ones with humbler ticket sales still earn a profit, which is more than can be said for “blockbuster” movies that cost hundreds of millions of dollars to produce and advertise. It clearly tells us that there is an enormous audience out there desperate for redemptive, hopeful, God-centered entertainment. A lot of people are tired of the nihilistic and bleak stories. They have no interest in the raunchy and filthy stuff. And practically no one wants to watch a gay romance, no matter how much Hollywood insists on the point. Faith is the driving force in the lives of many millions of people in this country, and people like stories they find relatable. That’s the real problem with much of what Hollywood produces: it has no relevance to anyone’s actual life. Nobody can relate to it. If movie studios had any business sense, they’d put out a Christian film every week. They’d release Biblical epics like they release superhero films. The Bible is chock-full of compelling, dramatic, fascinating stories. You could start in Genesis, work forward from there, and come up with dozens upon dozens of sure-fire box office smash hits. Here’s the thing: a Christian movie will make millions even if it’s not very good. But if you actually invest in a quality script and competent actors, you can launch ticket sales into the stratosphere. “The Passion Of The Christ” would have earned a ton of money regardless of its quality. It earned 600 million because it was a beautiful piece of filmmaking. But Bible movies are rare, and Christian films, for the most part, still haven’t been embraced by the major studios. Hollywood is choosing to leave a lot of money on the table. It would appear that they hate Christians more than they love profits. And that’s fine, of course. I have no desire to be liked by Hollywood. It’s just surprising to learn that money is not their primary driving force.